FinTech Futures understands that the new digital bank was set up by Ictineo Plataforma, which offers financial solutions for productive sectors of the population with low incomes. The company is a financial institution regulated by the CNBV. 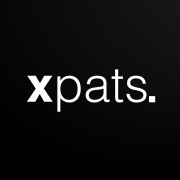 From this company, only Robert Monturiol is mentioned as a founding partner at Xpats. It is also understood that Xpats uses technology provided by Evolve Fintech, a Mexico-based fintech platform which provides regulated white labelled technology to other companies. The bank says that on full launch, it will have three types of offering: Silver, which is free and has basic features; Black for under $10 a month, with limited premium features; and Adamantium, for nearly $20 and all premium features unlocked. In February, the bank opened its waiting list for potential Xpats account holders, offering 1,000 free Black Plans for a year.